• How did you get this program so small? • Who is the TinyTask programmer? • What is the difference between the .EXE, .ZIP, and SETUP downloads? • Where is a list of all the changes to the latest version? 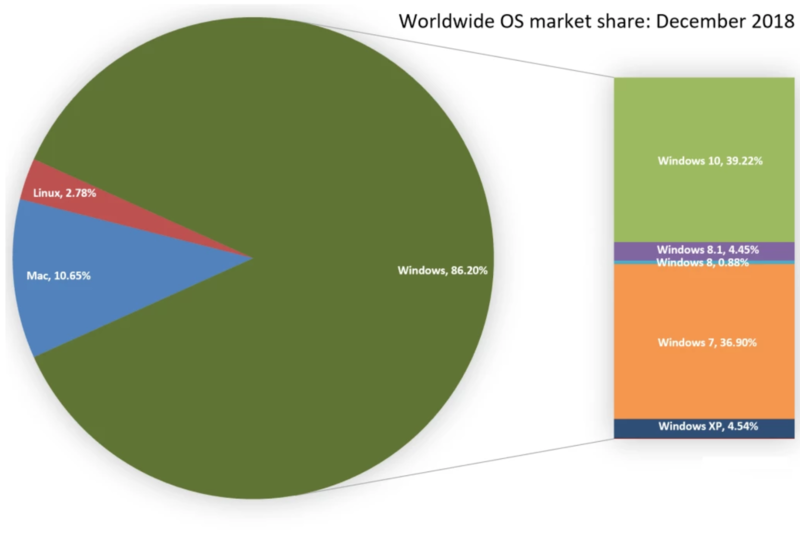 • What OS versions are supported (WinXP, Win7, Linux, etc)? • Can my company install TinyTask for everyone in the office? • How do I stop playback / use with games / etc etc...? • Where is the "TyperTask" program? • Why is the Help so sparse? • Will you please add [some feature]? • Any upgrade announcements? What's the future of TinyTask? How did you get this program so small? ① C programming - just pure C on a command line. ② Native OS API calls were used exclusively, which has the additional benefit of creating a hyper-fast program. No .NET / Java runtimes / .dll / plugins / or any other dependencies contaminate the purity that is TinyTask. ③ Careful choice of variable data storage size and resource (graphics) optimization for absolute minimum overhead. ④ Balance of compiler optimization switches for compact code generation. ⑤ Some interesting proprietary technical strategies, which are trade secrets. TL;DR - TinyTask was programmed with a fanatical obsession for zero code bloat. Who is the TinyTask programmer? I'm just some guy, you know? Actually, more precisely, some guy who is passionate about efficiency and also happens to know C-coding, which resulted in creating TinyTask to do my work for me - and now your work too! Everybody wins. What is the difference between the .EXE, .ZIP, and SETUP downloads? There is a single file that is the TinyTask program ("TinyTask.exe") that is the self-contained 32-bit app. The various formats are different ways of packaging the same file. The "TinyTask.zip" file just contains TinyTask.exe in compressed form, which can be useful for environments where downloading executable files is blocked. Windows can natively extract this file by double-clicking it. The "TinyTask_setup.exe" option is a standard Windows installation file. It installs TinyTask to its own Program Files folder and Start Menu app, optionally adds a desktop icon, and also has an uninstall capability. It also includes additional bonus items, such as extra toolbar graphics. This is the typical application package you would get for commercial software. The brilliant Inno Setup was used to create the install package, which TinyTask has supported with donations multiple times. If you're not sure which one to get, then the Setup option is the best choice. Where is a list of all the changes to the latest version? What OS versions are supported (WinXP, Win7, Linux, etc)? Every new software version is tested on Windows XP, Windows 7, and Windows 10. Windows 7 is the primary development OS, and all the non-dev PCs here are Windows 10, so those two get the most focus. Which is fine because apparently WinXP is less than 2% of desktops (or 4%) at this point. TinyTask does run on Linux with Wine (below is a functional test), but compatibility is still being researched. A flat fee of $495 has been established for revenue-generating businesses with multiple users, which allows unlimited TinyTask installations within a company. An invoice will be issued for a business expense for tax deduction purposes. How do I stop playback / use with games / etc etc...? Listed on the Support page. It is being developed and upgraded. Expect new releases in the future! Why is the Help so sparse? A program this compact doesn’t leave much room for verbose documentation - most other programs' icons alone are bigger. But it is definitely a legitimate observation/complaint about the lack of Help docs. A conscious effort was made to keep the app ridiculously simple & basic, and thus presumably require minimal documentation. Apologies for any confusion and/or aggravation this may have caused you. Hopefully you can embrace the "self-discovery" approach with this software. Will you please add [some feature]? Since it's not a commercial product, TinyTask is developed when time and motivation permit. If you absolutely want to, you can send ideas to [email protected]. Of course, any request that adds significant size to the program is opposite the TinyTask philosophy and will probably get vetoed. Any upgrade announcements? What's the future of TinyTask? Actually, yes, many enhancements are planned (and in progress) for this software. I'm usually running a pre-release version as my daily driver. But publicly announcing a release date virtually guarantees that setbacks will happen. It's best to let TinyTask grow organically, like it was originally created. Encouraging feedback plus contributions are very effective motivators, and help to advance this project. You can directly influence new TinyTask updates.